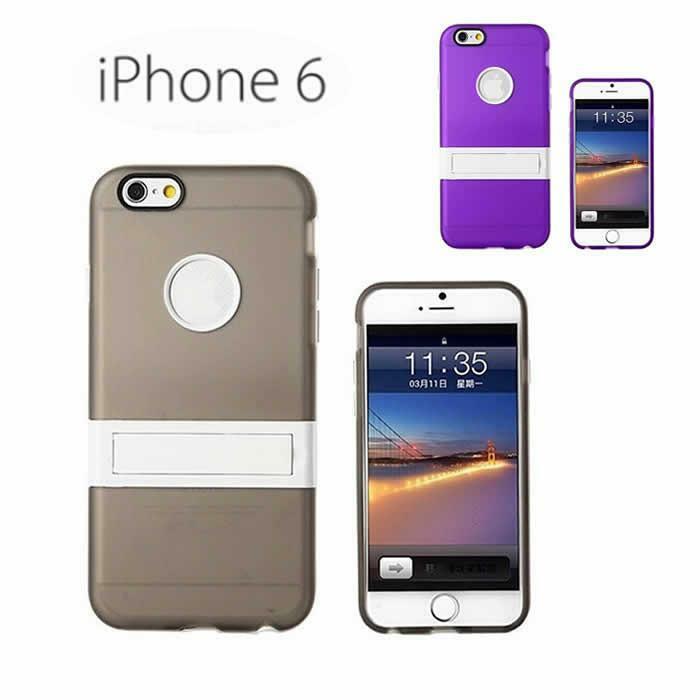 Kick Start your day with iPhone 6 4.7 inch case with a built in kickstand. 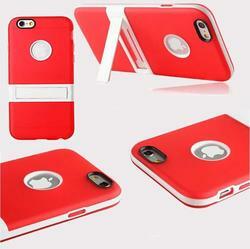 A full body protection with this 2 color combination case that is lightweight, practical and gets you going. Very appropriate for your active lifestyle! The case has all the cut outs for access to all the ports and buttons on the phone. Made from Polycarbonate and ABS that can take the wear and tear and keep your phone new. The front has a smooth rounded edges with a .005 mm raised lip to prevent the screen from getting damaged if the phone gets dropped. 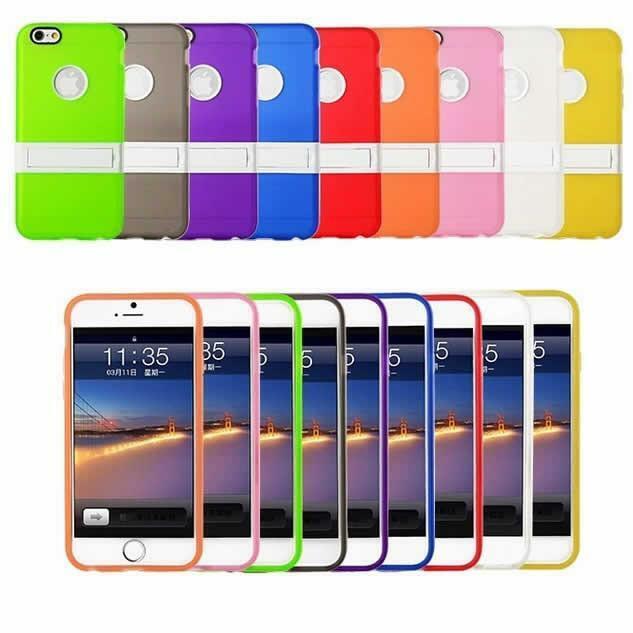 It comes in multiple choice of colors: LIME GREEN, GOLD, PURPLE, BLUE, RED, ORANGE, PINK, WHITE AND YELLOW.